To discover music when searching for network shares in BluOS using SMB sharing, configuration will be required for D-Link Network Area Storage (NAS) devices. The following configurations were performed with a D-Link 323 (Firmware v1.09) and D-Link 343 (Firmware v1.05). 1. 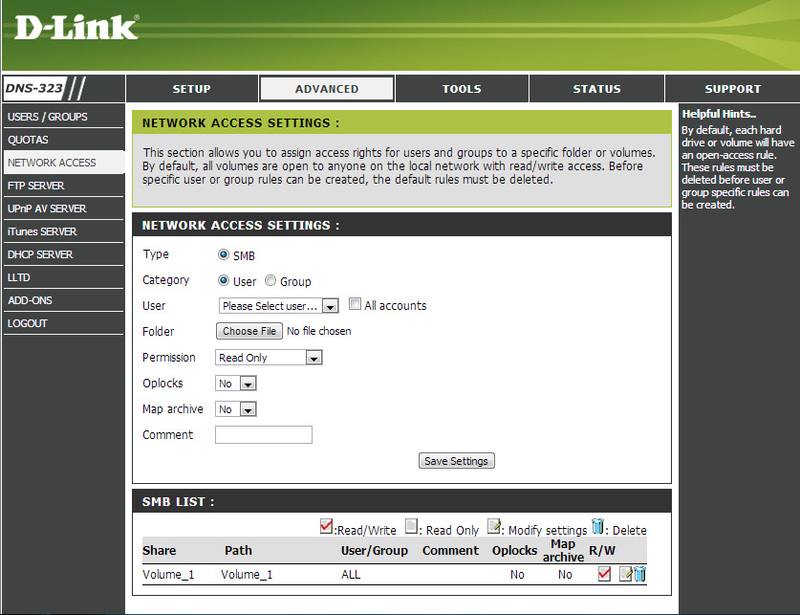 Connect to the D-Link NAS device using its IP address in a web browser. Enter username and password. Select Configuration. 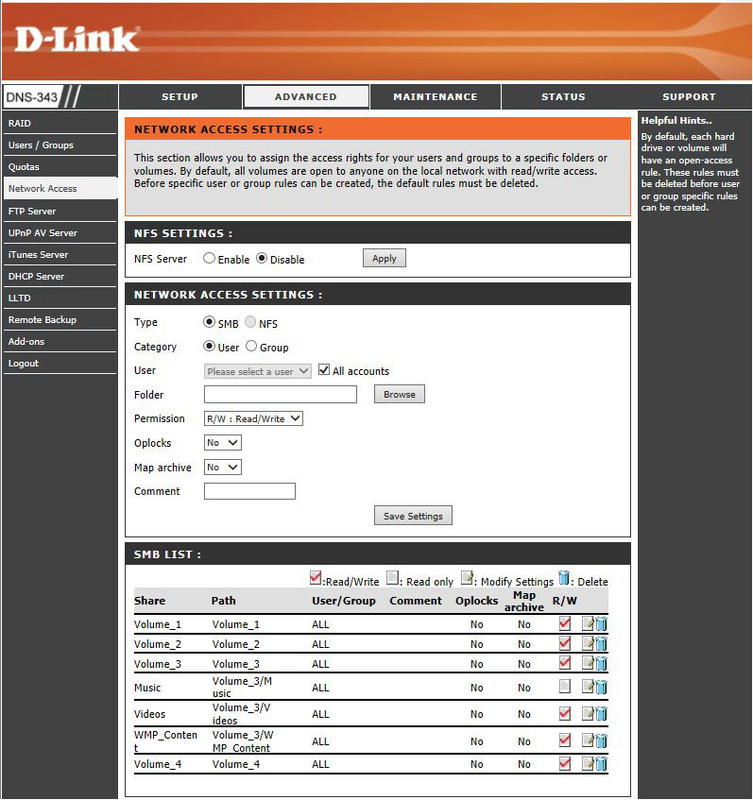 As alternative option, use the DNS Easy Search utility program from D-Link. Check all accounts. This enables guest access with no password. You can optionally select a previous NAS user account. Browse and select the folder that will be shared. Set Permission to 'Read only' or 'Read/Write'. Set map Archive to 'No'. You will need to repeat these steps for each folder you wish to configure. After completing the steps, the folder will appear as a part of your SMB List and will be discoverable by BluOS by the share name and path.